Nutone Broan® InVent™ 1-speed fan in white color, minimizes humidity to quickly manage moisture in bathrooms up to 105-Sq-ft. This fan has TrueSeal™ damper technology that reduces air leakage and results in better home performance through blower door tests. It features 9-1/4-Inch x 10-Inch x 5-3/4-Inch sized galvanized steel housing for added safety. It has voltage rating of 120-Volts, current rating of 0.4-Amp and power rating of 43.7-Watts at 60-Hz. It delivers airflow up to 110 CFM at 0.1-Inch static pressure and 102 CFM at 0.25-Inch static pressure. 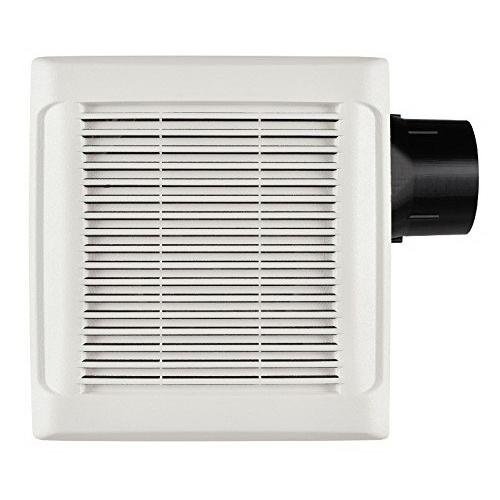 Ventilation fan uses 4-Inch horizontal ducts. 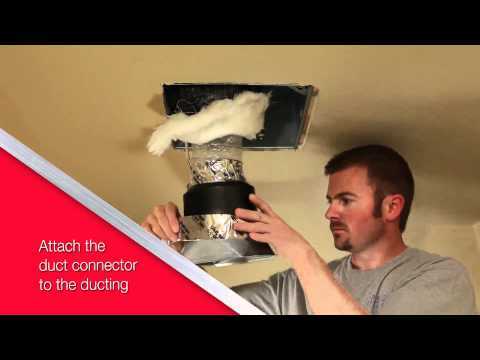 The EzDuct™ connector installs room side with no attic access required. White polymeric grille measures 9-1/4-Inch x 10-Inch. It fits in 2-Inch x 6-Inch construction space. It has noise level of 3 Sones and energy efficiency of 2.36 CFM/Watt. Ventilated fan is UL listed and Energy Star/HVI certified.